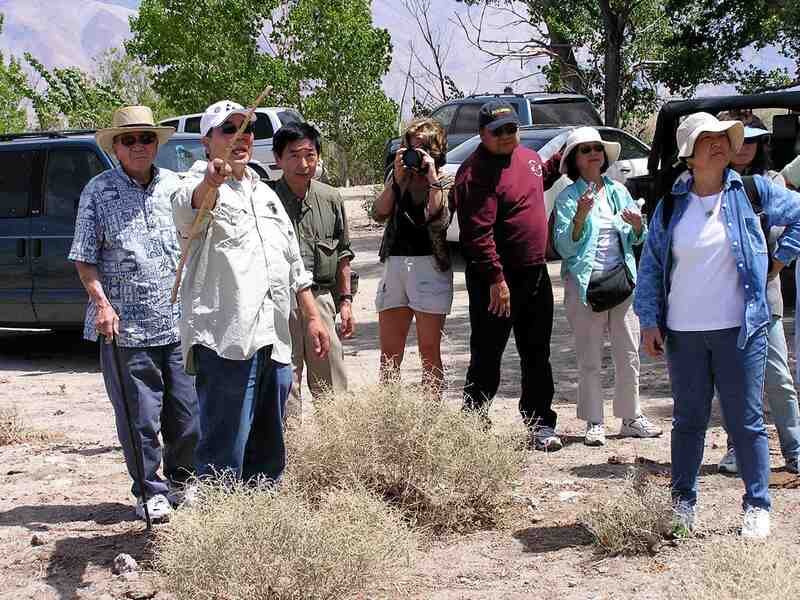 Filmmaker Cory Shiozaki (second from left) leads a tour at Manzanar National Historic Site. On Sunday, May 27, filmmakers Cory Shiozaki (director) and Richard Imamura (writer) will show an abbreviated screening of “The Manzanar Fishing Club” at the Manzanar National Historic Site, 5001 Hwy. 395, Independence, followed by a walking tour of the escape routes and fishing sites where the internees secretly went fishing. The screening will be from 11 a.m. to 12 p.m., including a brief Q&A. There will be a one-hour lunch break. The walking tour will begin at 1 p.m. and continue until 3 p.m.
People interested in the walking tour should meet in front of the interpretive center. Dress in layers; bring hats, sunscreen and water. You will drive on your own to most of the sites on the tour (carpooling is recommended) and there will be some short walking. The filmmakers are also planning their semiannual Adopt-a-Highway cleanup near Manzanar National Historic Site on Saturday, May 26, from 11 a.m. to 3 p.m., and volunteers are needed. 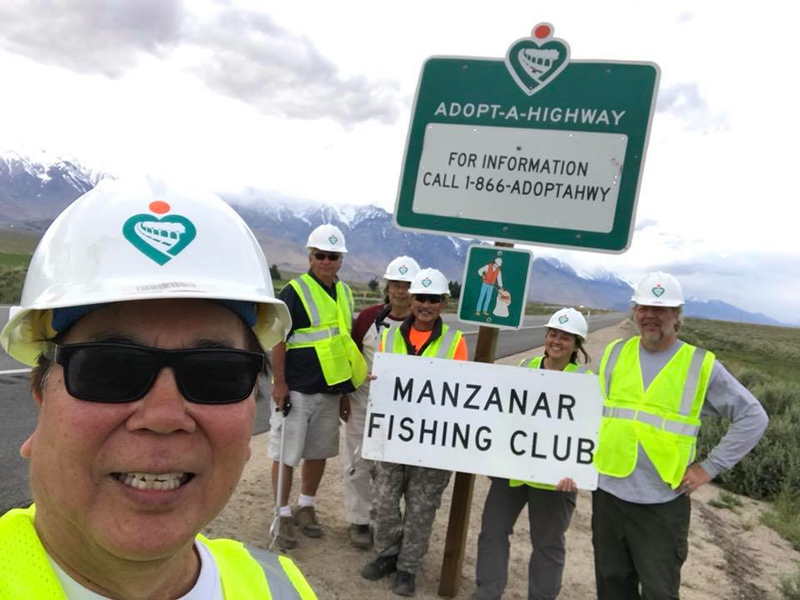 The “Manzanar Fishing Club” Adopt-a-Highway crew.